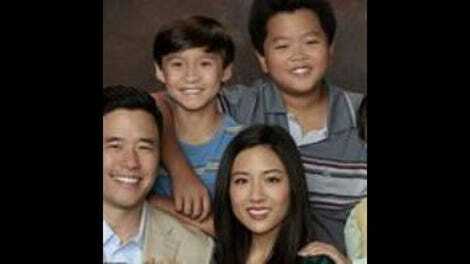 All the way back in “The Shunning,” Fresh Off the Boat cherrypicked a handful of Stephen King motifs to elevate its main storyline, a fairly commonplace thread about Honey being ostracized by the other women in the neighborhood. It was an early example of the show proving its adeptness with pop culture, coloring the narrative with little horror-inspired touches such as Danny’s “Tony” finger gesture from The Shining. Like “The Shunning,” “Jessica Place” starts with the cattiness between Honey, Jessica, and the rest of the Home Owners’ Association, then uses a piece of pop culture to amplify the comedy. And because that piece of pop culture is the HOA’s favorite show, Melrose Place—a series already about women constantly stabbing each other in the back—writer Abbey Caldwell is able to take the parodical elements even further. Life soon imitates art as Deidre—still sore at Honey for stealing Marvin from her best friend—becomes the object of Jessica’s scorn, too. Although the two neighbors have become friends during their MP viewing parties, a rift forms when Deidre convinces the rest of the HOA to vote against the Huangs’ new above-ground pool. Since Jessica, Honey, and everyone else at the HOA (even Evan) all love Melrose Place, they embrace the idea of double-crossing each other with self-awareness, resulting in an increasingly byzantine web of deceit that eventually involves wigs, cow mailboxes, and unauthorized herb gardens. Despite the silliness of it all, the cast and production team take a page from the Aaron Spelling handbook by playing the melodramatic tension with a painfully straight face. As the cast continues to screw each other over in the name of personal gain and disregarding deed restrictions, all of MP’s stylistic hallmarks get touched upon: the seductively-voiced flashbacks, the slow zoom-in on a character glaring at someone else, the strained looks into the distance, the dissolves scored by sizzling PG-13 guitar. And of course, the oversaturated credits montage. As Evan, Ian Chen deserves a callout for easily slipping into this ugly world of primetime soap opera. The actor is obviously way too young to have grown up with Melrose Place, and yet he nails the overly serious tone, squinting his eyes, shaking his head, and lowering his voice with the rest of them. All of this becomes even funnier when filtered through an innocent kid whose feet don’t even touch the ground as he leans back in an armchair to fold his hands and conspire with his mother’s friends. On its own, all of this would be another wildly entertaining instance of FOTB having some fun with its 1990s setting. But “Jessica Place” goes beyond straight-up parody by having somewhat of a heartwarming ending. Honey and Deidre don’t finish the episode fighting in the pool or scratching at each other’s faces. Instead, they realize their mutual dislike stems from each of them looking out for a friend, which, at the end of the day, is something to be admired, even if it leads to pettiness. That’s far from the type of acidic conclusion (or cliffhanger) one would typically see on Melrose Place. There’s also a B-plot of Emery dealing with his anger issues that, in the wrong hands, could feel out of sync with the parody structure. But Caldwell takes a note from the main plot and wisely keeps it rooted in goofy aesthetic details from the era. There’s the pool itself, its faux wood paneling and unsightly bulk viewed as taboo in so many Florida subdivisions at the end of the millennium. Then there’s the source of Emery’s rage, the result of Louis not catching Eddie cheat at a breath-holding contest between the boys. His distraction? A guy wearing a vest he bought at Structure. Enamored by the dude as he walks by the Huangs’ front yard, Louis wonders if he, too, can pull off such an effortless (soon to be outdated) sense of cool. The vest is such a specific period detail for anyone who came of age back then, rivaling Melrose Place in its faked sleekness. It feels right for Louis to be enthralled by the garment the same way his wife his enthralled by trashy television. And like the Melrose Place riff, it leads to a more substantial conversation between two people at odds with each other. After the middle Huang child makes fun of his father’s new fashion item for being nothing more than a “button-up tank top” (he’s taken Eddie’s advice to be more honest to those around him), they have a heart-to-heart where Emery reveals his collection of scream jars. Every time he gets mad about something, he opens one of the glass containers and yowls into it, allowing him to get out his feelings without ever having to tell anyone about them. When he couldn’t fit a jar in his bathing suit pocket, it caused him to snap at Eddie in the water. Louis helps Emery come up with a healthier alternative, although they don’t get to test it out in the pool. Even after Jessica and Honey make up with everyone else, the HOA stills vote to remove the Huangs’ little circle of chlorinated paradise. This version of Melrose Place may be on ABC instead of Fox, but it’s still a ruthless place to live. I grew up in a Florida neighborhood that had insane deed restrictions, and above-ground pools were (stupidly) a big no-no. To bring the Spelling humor full-circle, Melrose Place alum Courtney Thorne-Smith pops up for an amusing cameo at the end. However, I’ll always remember her more for this. No Eddie’s friends this week, which means I’m holding my breath for another Mask gag from Brian.